Silkworm cocoons are biological composite structures protecting the silkworms against environmental damage and physical attack by natural predators. In particular, some outdoor reared silk cocoons exhibit outstanding mechanical properties that are relevant to the higher level protection required to enhance the survival chance of silkworms while supporting their metabolic activity. The performance of composite materials strongly depends on the adhesion between the fiber reinforcement and matrix, with the surface properties of the fibers playing a key role in determining the level of adhesion achieved. For this reason it is important to study the surface properties of silk fibroin to further understand the composite properties of the cocoons. In this work, both the mechanical properties of the silk cocoons and silk fibroin were studied. The surface topography was examined using scanning probe microscopy (SPM), which revealed distinct longitudinal ridges and striations along the fiber axis of the four silk fiber types. The fibers were found to exhibit heterogeneity in surface energy as evidenced from inverse gas chromatography (IGC) measurements. 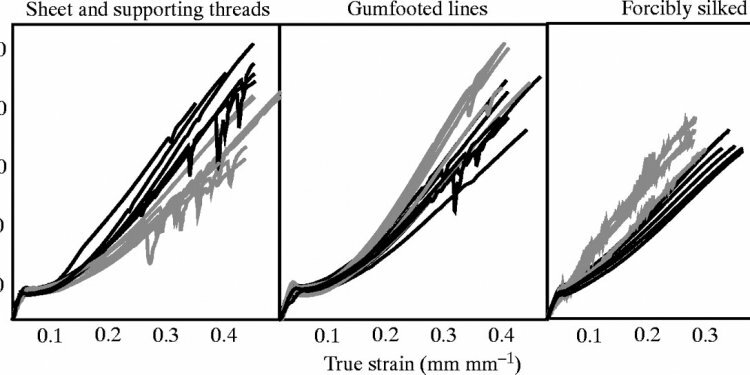 The combination of excellent mechanical properties and the more energetically heterogeneous surface nature of the wild A. pernyi silk fibroin fibers correlates well with the excellent mechanical properties of the A. pernyi cocoons.